Jeremy Hunt has called on the dying and their nearest and dearest to ‘play fair’ and stop calling ambulances in the last hours of their lives. 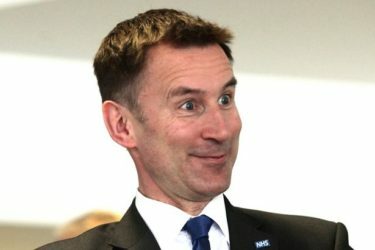 Insiders say that Mr Hunt will wait until the weekend before making any long term decisions about his new social care brief, although a £3bn top-down reorganisation is currently the hot favourite. In the meantime, Mr Hunt has commisssioned a supply of ‘Social Care’ lapel badges to balance the ‘NHS’ badge he’ll continue to wear on his left lapel, to show us all how much he really cares.